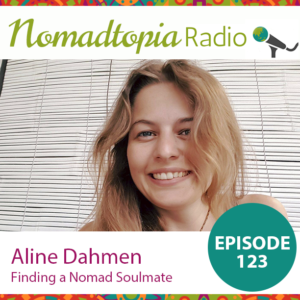 When Aline first heard about “digital nomads” a few years ago, in her early 20s, it felt like a great fit for her. She started freelancing and has been working while she travels ever since. But there were certainly challenges along the way, including trying to find a partner to share the adventure (she even built an app to help solve this problem!). Tune in as we share our experiences finding love on the road and lots more. You make me hopeful, Aline. Great podcast! !